Burr's presentation from the panel, "Utility 2.0 and Dynamic Microgrids: Tools for resilience, economics, and sustainability," is available at the Microgrid Institute website. 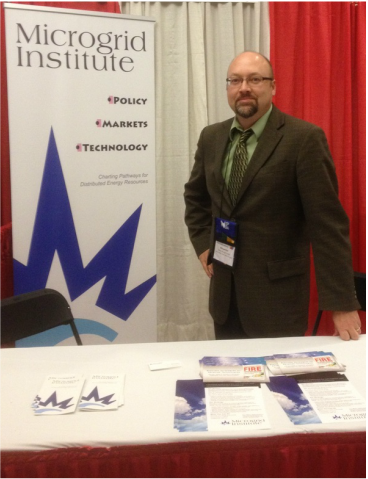 Additionally Microgrid Institute sponsored an exhibit at the Maryland Clean Energy Summit (photo below). The event attracted high-level attendees focused on energy assurance planning and community energy development, especially in the Northeastern U.S. markets. The event's keynote speaker was former Colorado PUC Chairman and former Nominee for FERC Chairman Ron Binz. The annual event is produced by the Maryland Clean Energy Center.